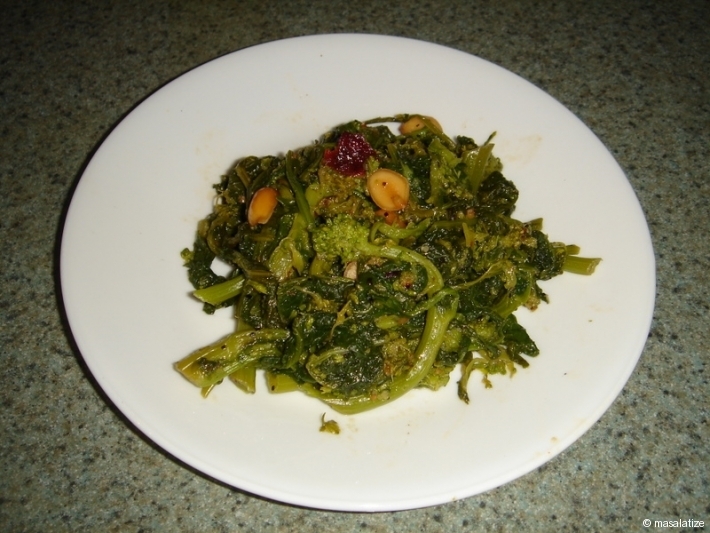 Rapini is also known as Broccoli Rabe. 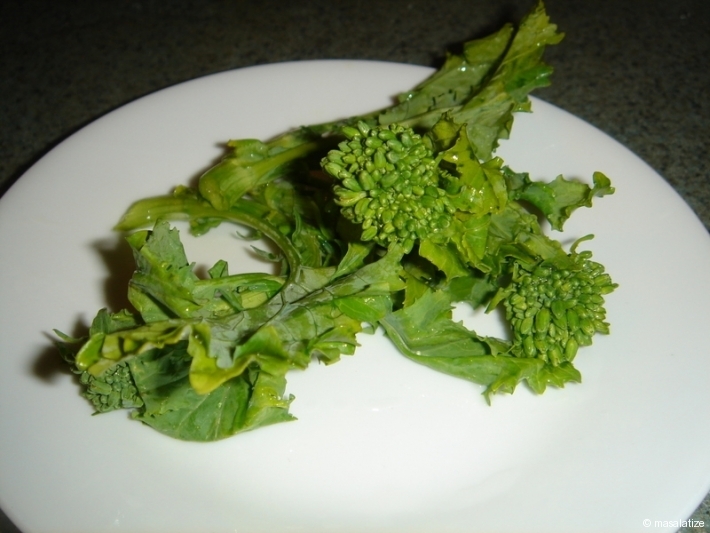 Take good pieces of Rapini Leaf. Wash it properly and then pat it dry. 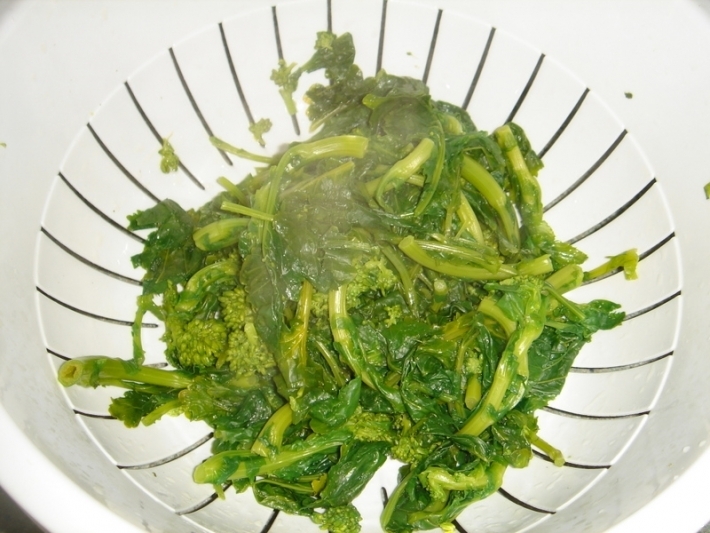 Boil it in a bowl with water until it is tender. 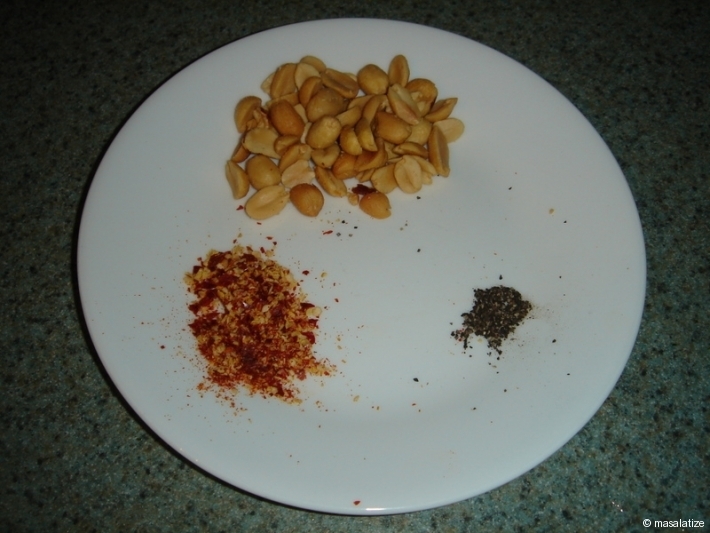 Take 20 gm of peanuts, 1 tsp Chilly Flakes and 1 tsp of Pepper. 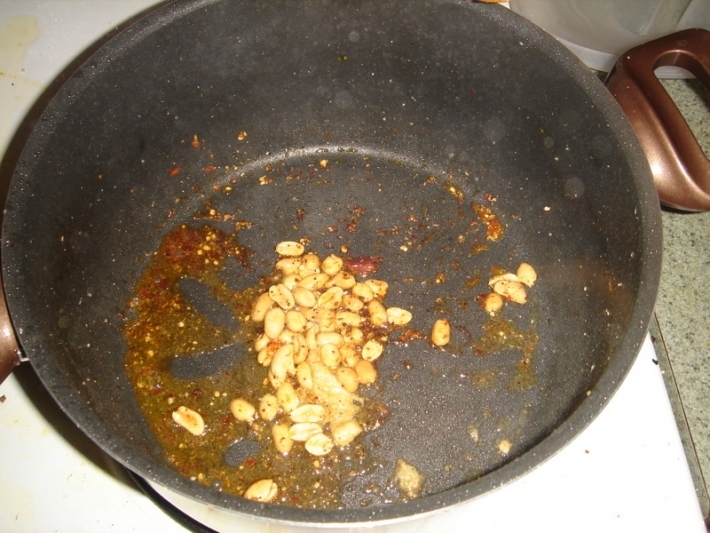 Heat oil in pan then add peanut with chilly flakes and pepper. Fry it until it is light brown. 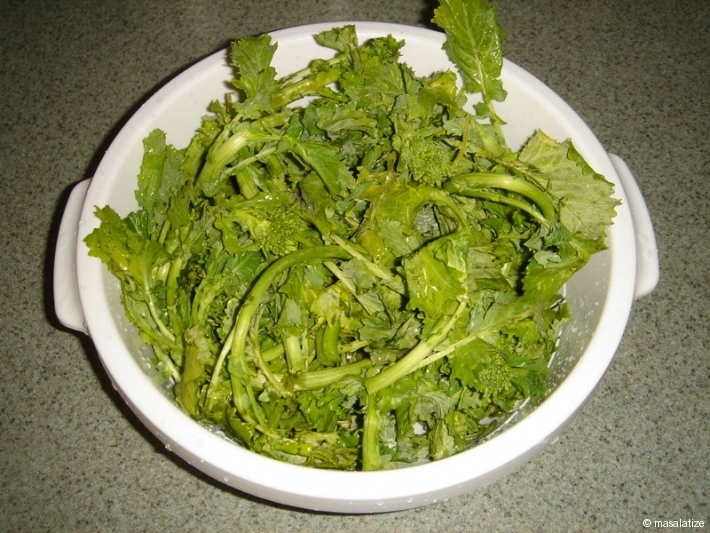 Then pour the boiled rapini. Fry it for 3-5 mins. Add salt.Cover the lid for about 5-7 mins.